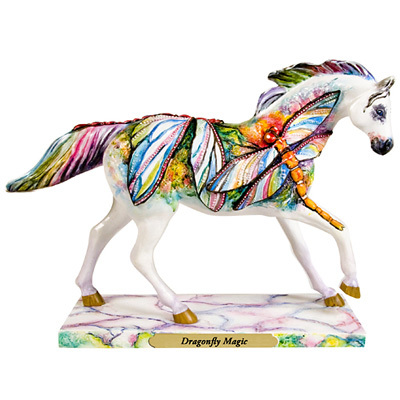 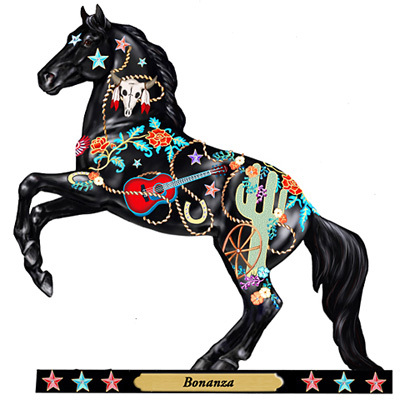 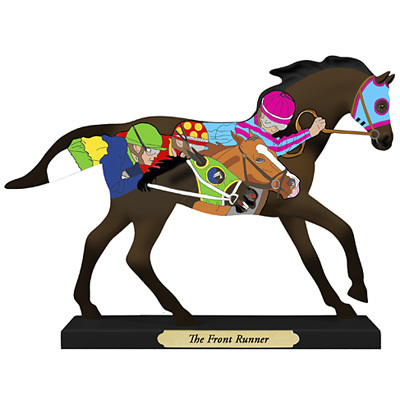 The Trail of Painted Ponies is honored to create a commemorative pony, which proudly pays tribute to the artistic tradition of carousel horses, or Painted Ponies, as they were once known. 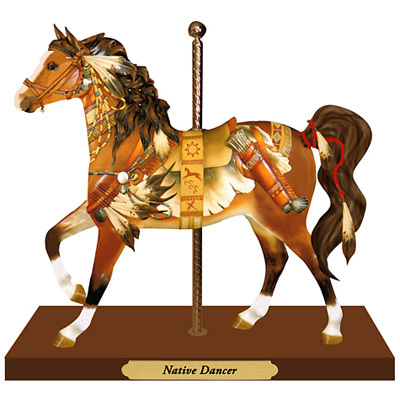 "Native Dancer" honors the artistry of those turn-of-the-century craftsmen who magically crafted carousel horses that were popular in America in the 1900s. 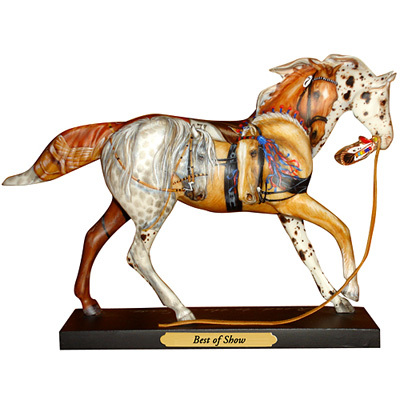 At one time, there were over 7,000 carousels, including those that originated in Europe. 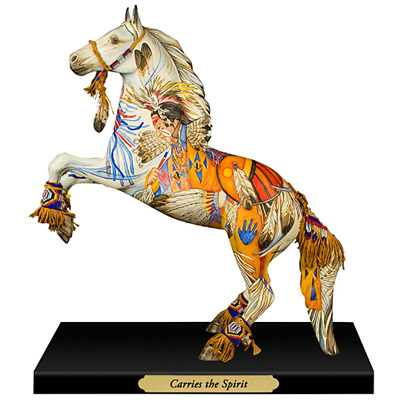 These magnificent machines began to deteriorate after the Depression and became badly neglected. 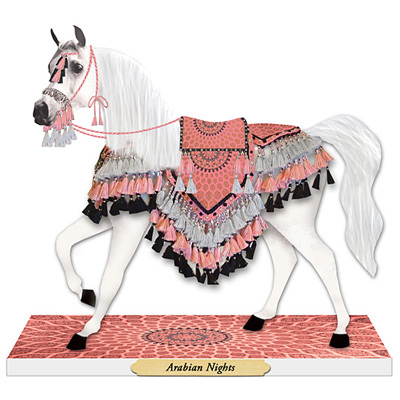 Regrettably, only 300 carousels remain in existence today. 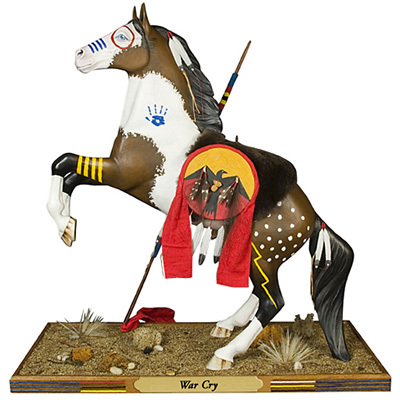 Available in inventory at $80.00 each.